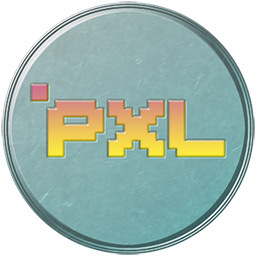 PXLcoin (PXL) is another alternative Scrypt crypto coin, however here the algorithm being used by the coin is not the most interesting thing about it, in fact it is the least interesting one. The Million Dollar Homepage was created in 2005, where people could purchase pixels on the site for $1 and then upload an image and hyperlink. As people began buying up those pixels and uploading their images, the homepage was filled out and internet history was created. PXLCoin official website contains a new canvass for the cryptocurrency community. Instead of charging “real” money, each pixel on the site can be purchased using PXLs. Upload whatever your imagination desires – your clan logo, pictures of your doge, a business logo or advertisement – whatever you want. And the image can also link to a web URL.